UN Secretary General Ban Ki-moon has described as “heart-wrenching” the destruction he witnessed on a visit to flood-devastated Pakistan. Mr Ban said the scale of the disaster was greater than anything he had seen before. He again urged the world to speed up aid to the country, saying shelter and medicine were desperately needed. 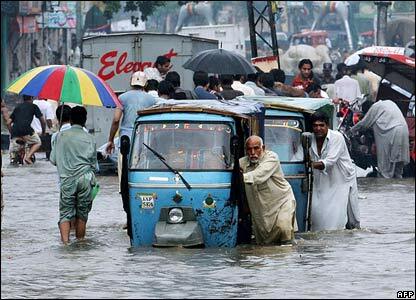 The Pakistani government says up to 20 million people have now been affected by the monsoon floods. At least 1,500 are known to have lost their lives.